Cellist Ashima Scripp has toured extensively throughout the United States and abroad as a soloist and chamber musician. She has appeared at New York's Carnegie Hall, Tokyo’s Opera City, Boston's Symphony Hall, Chicago's Symphony Center and Boston's Jordan Hall. Ms. Scripp’s performances have been described as “expressive and nuanced” and she is considered one of the nation’s most versatile chamber artists. She has been invited to perform live on Los Angeles' KMozart, Boston's WGBH, Chicago’s WFMT and Texas Public Radio and given recitals at the Phillips Collection in Washington, DC, the Fazioli Salon Series in Chicago and at Highfield Hall. A dedicated and sought-after chamber music collaborator, Ms. Scripp has performed hundreds of works from Bach to Schoenberg for audiences around the country and been invited to perform as part of the New Hampshire, North Country Chamber Players, VentiCordi, Hot Springs and Kneisel Hall chamber music festivals. In 2004 she was invited to join the critically acclaimed Walden Chamber Players, and became the ensemble’s Artistic Director in 2012. With Walden Ms. Scripp performs a variety of classical and contemporary works on chamber music series nationwide. Walden is also well known for their work in chamber music education and Ms. Scripp has been central to the creation of many of the ensemble’s successful chamber music residency programs. Ms. Scripp has served on the cello and chamber music faculty of the Longy School of Music and Concord Academy as well as the Killington Music Festival, the Chamber Music Conference and Composer’s Forum of the East, and the International Summer Music Academy in Regensberg, Germany. 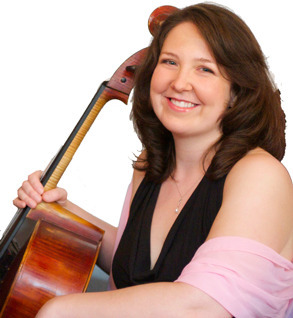 Passionate about creating unique learning opportunities for musicians of all ages she is the co-founder of the “Cellobration Festival” in Cambridge, MA, now in its 5th year and “Music at the Lake”, a workshop for amateur adult cellists in Meredith, NH. She has also been invited to give master classes at the Killington Music Festival, the University of Idaho, Longy School of Music and Bowdoin College. Ms. Scripp has been the recipient of numerous awards and scholarships including a Presidential Scholarship, an Ekenstein Fund Grant, the Union League Civic and Arts Foundation Scholarship, the Mittenthal Scholarship and the Eleanor Thaviu String Scholarship. Ms. Scripp received her Bachelor of Music degree from the Manhattan School of Music as a student of Alan Stepansky and her Master of Music degree from Northwestern University as a student of Hans Jensen.